Unfortunately yet another case of CSIS having an innocent man arrrested and tortured. In Canada there are certain rights and freedoms that we are guaranteed, and now the Harper government has once again clarified who will and who will not be able to receive them. The catch phrase and "War on Terror" and "Terrorist" have been used to abuse, detain and devalue human life and human rights around the world. Abousfian Abdelrazik, a Canadian citizen who was been detained in Sudan, is seen in this undated family photo. 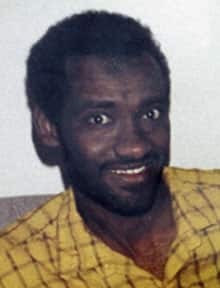 (Graham Hughes/Canadian Press)Supporters of Abousfian Abdelrazik — a Canadian citizen blacklisted as a terrorist and stranded in Sudan — accused the federal government of racism Friday for refusing to issue him an emergency passport to fly home to Montreal. "We denied the passport on the basis of national security," Foreign Affairs Minister Lawrence Cannon said Friday at the NATO summit in Strasbourg, France. Abdelrazik received the news about two hours before he was to board a flight home, said his lawyer, Yavar Hameed. "This is a very disappointing and outrageous response by this government." In Ottawa, Abdelrazik's supporters, including MPs from all three opposition parties, described his situation as "Kafkaesque" during a small protest and news conference on Parliament Hill Friday. "Obviously, there's a question of racism here," Amir Attaran, a University of Ottawa law professor, told the CBC in an interview. "He has the unfortunate problem of being the same colour as the president of the United States and the Governor-General. He's Muslim. He has an odd name, but there's no legal reason to deny him a passport." Referring to the case of Brenda Martin — the Canadian woman jailed in Mexico whom the Canadian government sent a private jet to bring home last year — NDP foreign affairs critic Paul Dewar said there was a double standard at play. "It saddens me greatly. If Mr. Abdelrazik's last name was Martin, would there be a different outcome?" Dewar said. "I would ask Canadians and ask Canadians to ask the government the same question: If this had been someone with a different skin colour and with a different last name, would there have been a different outcome?" 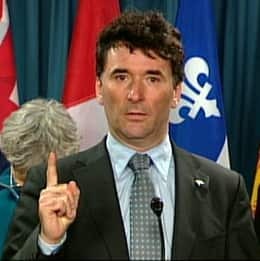 The NDP's foreign affairs critic Paul Dewar speaks at a press conference in Ottawa on Friday. (CBC)In a one-sentence letter faxed to Abdelrazik's lawyer Friday morning, Cannon cited Section 10.1 of the Canada Passport Order that states "the minister may refuse or revoke a passport if the minister is of the opinion that such action is necessary for the national security of Canada or another country." Abdelrazik has been sleeping on a cot in the lobby of the Canadian Embassy in Khartoum for nearly 11 months. Embassy officials have been feeding him and providing him with medical treatment, Cannon's parliamentary secretary, Deepak Obhrai, told the CBC in an interview Friday. He called the charges of racism "pure nonsense." As for the comparison with how the government handled Brenda Martin's case, Obhrai replied: "He is on the terrorist al-Qaeda list. Brenda Martin wasn't." Obhrai repeated a comment Cannon made last week, that is was "incumbent on [Abdelrazik] to make sure he gets off that [UN] list." But Attaran said that is "ludicrous." "If he was a national security threat, why would he be living in a Canadian embassy? That's as ridiculous as Osama Bin Laden showing up at the front gate and asking for tea and cakes and being invited in by the ambassador," Attaran said. A married father of three, Abdelrazik was picked up by police for alleged ties to al-Quaeda during a visit to his ailing mother in Khartoum in 2003. Internal government documents implicate Canadian security agencies in the original arrest. Abdelrazik said he was beaten and tortured in prison and also interrogated by CSIS and U.S. counter-terrorism agents. He said he showed his prison torture wounds to Obhrai, who visited him a year ago. Investigators eventually released Abdelrazik without charge after finding no evidence of criminal activity. His lawyers have obtained RCMP and CSIS reports that also state there is no evidence linking him to any terrorist or criminal involvement. In 2006, the George W. Bush administration added Abdelrazik to a UN Security Council terrorist blacklist and a separate U.S. "no-fly" list. The Harper government tried, but failed, to get him delisted. The government's refusal to issue Abdelrazik a passport represents a complete reversal of its written promise made three months to do so if he had a paid ticket home. Nearly 200 Canadians, including Jo Wood, pooled their money to send him $1,000 to buy a ticket. "We got together in December when the government said that he could come home if he had a purchased ticket, and so many of us grouped together to buy that ticket. The news today is particularly outrageous," Wood said at the news conference organized by Abdelrazik's supporters in Ottawa. The Canadian government refuses to say why Abdelrazik is on the terrorist blacklist, but simply being on it should not stop him from travelling, Attaran said. Under resolution 13.9 of the UN Security Council, a person on its terrorist backlist is still allowed to return to their country of citizenship, he said. Moreover, the Canadian Charter of Rights and Freedoms allows its citizens to freely enter and depart the country, he added. "Every day that Mr. Abdelrazik spends in Sudan is another day of the denial of his rights," said Liberal MP Irwin Cotler. Abdelrazik's lawyers will argue next month in Federal Court that his charter rights have been violated.